SAN MARINO are possibly the worst footballing nation in the world – so that's good news for Alex McLeish. Tomorrow's Euro 2020 qualifier isn't about who'll win but simply about how many Scotland will score – and that may come as a surprise after out boot in the Borats. And hours after our annihilation in Astana Cyprus were dealing out a 5-0 trouncing to the Group I whipping boys. Again that's San Marino. 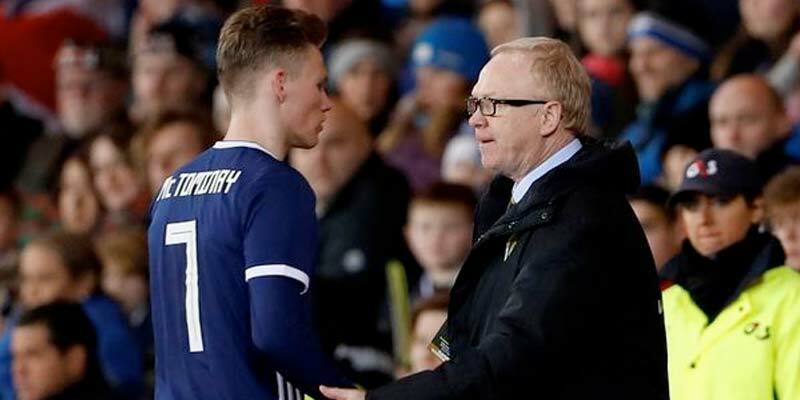 McLeish was badly hit by injuries and no-shows but is boosted by the return of skipper Andy Robertson as well Callum Paterson and Bournemouth winger Ryan Fraser. He netted in Albania and is 6-1 with Paddy Power to open the scoring tomorrow and 13-10 with Ladbrokes to net at any time. With prices so short it's difficult to find a decent bet but I like Scotland to win to nil on an acca. It pays 4-9 at McBookie – and remember San Marino have scored one goal in 16 so even we should be confident about a clean sheet. Group I favourites Belgium started with a 3-1 win against Russia and Eden Hazard was the star of the show with a double. The Belgians should get it easy in Cyprus and are no bigger than 1-6. It was 3-0 on their last visit to Valletta and I'm happy to take them minus one at and take Chelsea star Hazard to score first at 8-15 with Paddy Power and Hazard to score first at 16-5 with William Hill. Kazakhstan v Russia is the other Group I game and we'll get to see how good (or bad) the home side really are. There's no way a well-organised Russian outfit will make the same basic mistakes us and I'm backing them at 9-10 with Marathonbet. Today's games include Spain v Norway, Italy v Finland and Gibraltar v Republic of Ireland and I can't see any shocks there. The Irish are a similar price to Scotland and again best bet could be Mick McCarthy's side to win to nil at 4-11 with Paddy Power. Spain -1 and a straight win for Italy added to Scotland to win to nil makes a nice Euro 2020 treble at 9-5 with Paddy Power. I wouldnt touch scotland with monopoly money. A total embarrassment the other nite. Big eck was any man at all he would have walked. @David-footystats,Wouldnt even consider that if they were last team in existance.Considering 23/10 on San Marino to score though.